Card Making, Basket Weaving, Paper Crafts, Jewelry Design and Fibre Art of Every Kind! 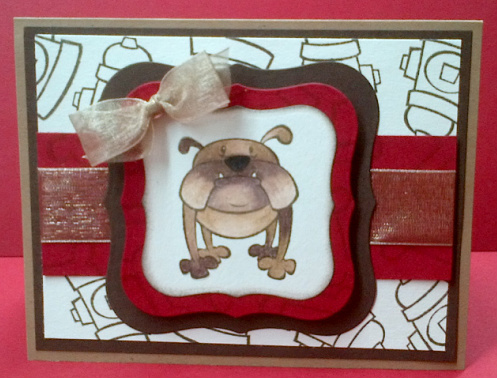 Just a quickie, a bulldog birthday card for my oldest daughter's boyfriend, Kyle. 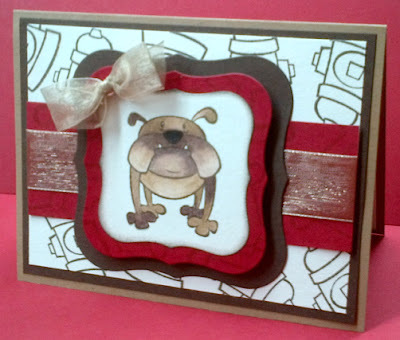 Emily and Kyle are planning to 'adopt' a bulldog puppy soon, so I thought a dog theme card would suit. The dog stamp is by Reflections and is one of the new stamp sets I purchased at Michael's recently. I couldn't find suitable background paper so I made my own by stamping fire hydrants from the same stamp set onto white card stock. The dog is colored using Prismacolor pencil crayon and odorless solvent blended with a cardboard blender. Happy Birthday Kyle!! 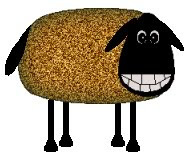 This is my personal blog where I share my love of arts and crafts with the world. I write posts about creative card making, share crafting tips on crafting on a budget, and share creative ideas about all of the other crafts projects I enjoy making. I have recently discovered scrapbooking, and I think I'm hooked! All projects featured are created by me and I am delighted to share them with you. I am a bit of a 'craft hoarder' and love to share information on craft shopping, testing out news tools, gadgets, techniques and products. Computers are still some what of a mystery to me and I am on a serious learning curve! If you see something that needs a 'tweak', please let me know! That Suits Me Just Fine!